﻿We call it the best little yacht club in the world! ​Located in Main Beach on the Gold Coast its the ideal place for a night out or for your next function. I didn't approach any other clothing companies for sponsorship because, for me, Musto is the company I know and trust to keep me warm and dry when it gets wet, wild and generally unpleasant. The truth is that virtually every piece of sailing clothing I own, from my old Musto snug to my HPX Offshore gear is Musto, I just wouldn't be comfortable with anything else. 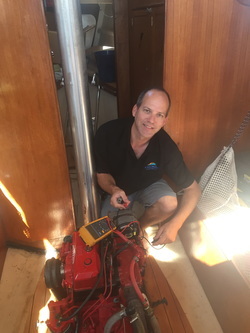 Harald Farthofer is the electronical genius behind A Sea Maraine Electrical' Success. Electrical failure is one of the most the most common causes of around the world retirements these days. It's great to know I have the experience, knowledge and support of Harald and his team as I prepare for the voyage. 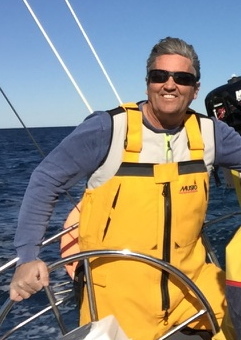 Mike Sabin from Gold Coast Sailmakers is one of the most experienced sailmakers around. Its great to have the benefit of his wealth of knowledge and wisdom in choosing and constructing a sail wardrobe for the voyage. My Yacht are the sole importers of European parts such as Lancelin Rope from France, UBI Maior Italia Deck Hardware from Italy, Stopgull anti-bird products from Spain, Techimpex cookware from Italy, as well as the Fold It cart from the US.